Just days removed from his milestone 1,000th NHL game, an accomplishment recognized by the NHLPA, the man who came to be known as ‘Vinny' to his teammates, is still taken aback by the accomplishment. While his ability to communicate with his fellow players might have taken some time to develop, there was no doubting the abilities that Prospal, the 73rd overall pick of the Flyers in the 1993 NHL Entry Draft, brought with him to the NHL. Intelligent with or without the puck, a strong skater, scorer and playmaker, Prospal was a welcome addition to the Philadelphia lineup, a team that featured some of hockey's top stars. For a young player, it was an ideal situation. 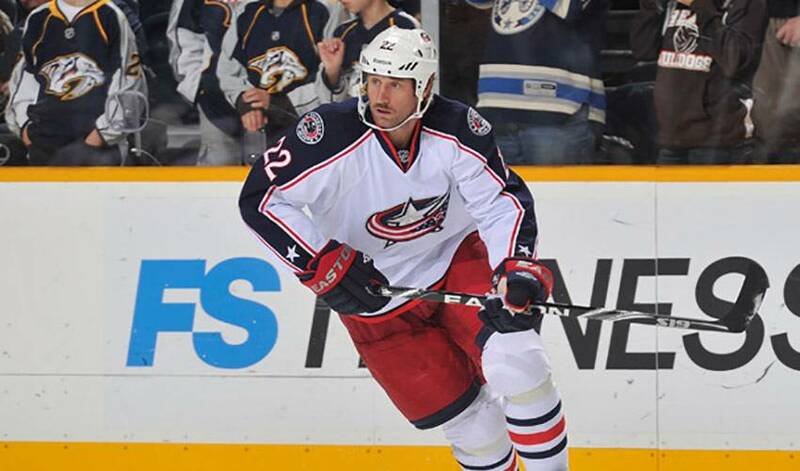 Now patrolling the wing for the Columbus Blue Jackets, Prospal, 36, is still enjoying the game as much as he ever did. That said, the man who has played for the Anaheim Ducks, Florida Panthers, Ottawa Senators, Tampa Bay Lightning, Flyers and Blue Jackets admits his milestone has brought out a range of emotions. “Believe me, I enjoy playing the game I love, but when you reach a moment like this, it's sad in some ways knowing that you won't be playing as long as you'd like to,” said Prospal, who played for his hometown team HC ?eské Bud?jovice, leading them in scoring and helping the team return to the Czech Extraliga during the 2004-05 NHL lockout. “You just want to make the most of it. I'm still playing and I'm still happy. Last season and the current one are perfect examples of what Prospal speaks of. A knee injury limited him to just 29 games in 2010-11 when he was with the Rangers. There was talk it could end his career, but Prospal persevered, eventually signing a one-year contract with the Blue Jackets in July. How has Prospal responded with his new team? He's playing at an almost point-per-game clip with Columbus. Prospal, who has represented his country in international competition on several occasions, including at the 2006 Olympic Games in Turin, Italy, the 2004 and 2005 World Championships, winning the gold medal in 2005, and in the 2004 World Cup of Hockey tournament, is hoping there are even more good times to come. Call him an ageless wonder, a classy veteran or a resilient athlete – each one is an accurate description of Prospal. The man known as Vinny has also been good. Very good, indeed.